Hyundai aims to increase its U.S. sales to 760,000 vehicles this year, another record. SEOUL (Reuters) -- Hyundai Motor Co. aims to boost its U.S. sales by 4.7 percent this year, ahead of the industry's projected growth rate, despite a consumer shift to SUVs and pickups. Sales of one of Hyundai's mainstay sedans, the Elantra, have slowed in the U.S. as consumers take advantage of lower fuel prices to switch to less fuel-efficient larger vehicles, strongholds of U.S. and Japanese automakers. Hyundai said today it aims to increase its U.S. sales to 760,000 vehicles this year, from a record 725,718 last year, and will launch its revamped Tucson SUV in the U.S. in the second quarter. 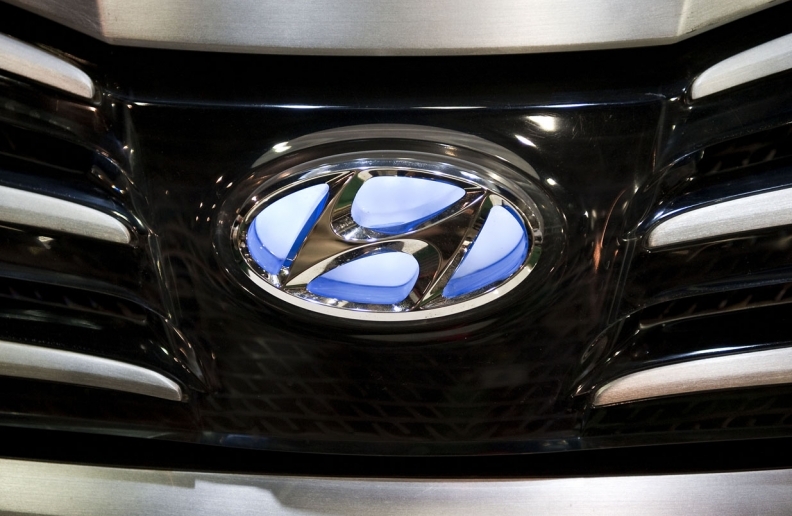 An increase in the 5 percent range would mark Hyundai's biggest gain after two years of sluggish growth. Sales rose 1 percent last year and 3 percent in 2013 as the company lost U.S. market share. Though the first two months of this year, Hyundai division sales in the U.S. are up 4.3 percent to 97,010 vehicles compared with the same period last year. Overall sales of light vehicles in the U.S. are up 9.2 percent. Its planned growth rate would be more than double the expected industry growth rate of 2 percent. "The 5 percent target looks challenging. There are not many Hyundai SUVs to sell in the U.S.," said Ko Tae-bong, auto analyst at Hi Investment & Securities. He said supply is tight for Hyundai's SUVs, as it does not produce the Tucson in the U.S., and relies on Kia's U.S. factory for production of Santa Fe SUVs. Hyundai also does not sell pickups. Reuters reported last week that Hyundai is in talks with the state of Alabama to build a new assembly line next to its current line in Alabama. A person familiar with the matter told Reuters on Monday that the new Hyundai production facilities, which plan to start production in April 2017, will make Santa Fe SUVs, although that is subject to change. Hyundai Motor Group chairman Chung Mong-koo left for the U.S. and Mexico today for a five-day trip to visit factories and design centers for both Hyundai and Kia, and the site of Kia's new production plant in Monterey, Mexico. Ko said Hyundai should make Tucson SUVs and pickups in the U.S. to increase market share and reduce reliance on sedan sales. A Hyundai executive said last week the carmaker was considering producing pickups, but added that there were "many hurdles."